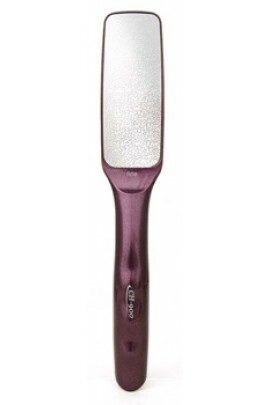 This dual-sided foot file combines both our medium and coarse autoclave foot files, with a much larger abrasive area. 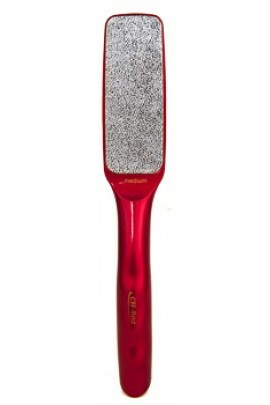 The coarse grit file works magically on severely rough feet and cracked heels. • Sterilizable • ..
Fine foot file for sensitive feet and toes. Use it after the medium or coarse foot files for perfectly smooth feet. • Sterilizable • Hypoallergenic • Long Lasting • Surgic.. 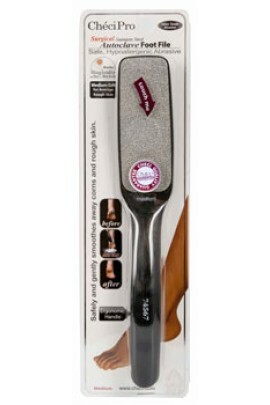 Medium grit foot file is for the average rough feet. Suits all skin types and is an excellent choice for year-round pedicure maintenance. • Sterilizable • Hypoallergenic • Long Lasting &b..
For critical calluses and severely cracked heels. Let's talk about convenience! Finally there is no need for time consuming, messy feet soaking! Checi nickel foot files are specially designed to work on dry skin, enabling you to have beaut..
For dry, cracked skin in the heels and toes. Let's talk about convenience! Finally there is no need for time consuming, messy feet soaking! 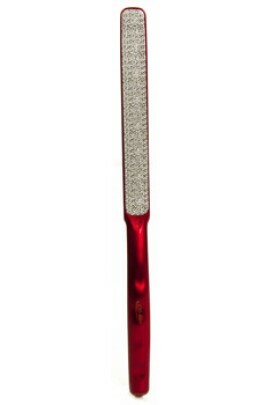 Checi nickel foot files are specially designed to work on dry skin, enabling you to have beautiful.. This is truly a do-it-all file! Use the fine side to file natural nails and the coarse side to file toe nails, acrylics, hand corns and calluses. 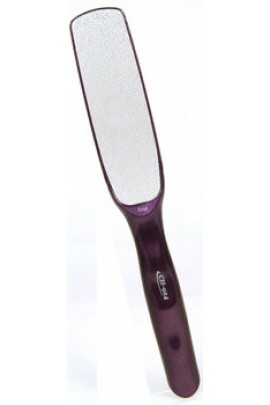 ..
Dual side grit foot file for feet. This file works magically on heels. 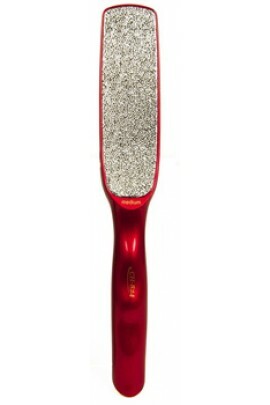 ..
Fine grit foot file for sensitive feet. 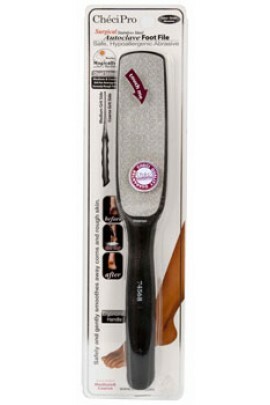 Use it after the Medium Foot File or Coarse Foot File for perfectly smooth feet. .. 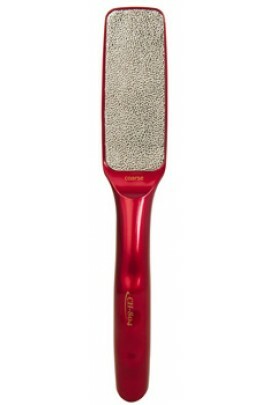 Medium grit foot file for the average callused feet. Suits all skin types and is an excellent choice for year-round pedicure maintenance. 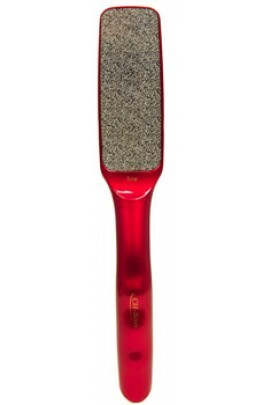 ..
Surgical Stainless Steel This dual sided foot file combines the grits and benefits of both our Fine Foot File and Coarse Foot File, with a much larger abrasive area. Great for complete foot care from filing to shiny finish! ..
Surgical Stainless Steel This is truly a do-it-all file! Use the fine side to file natural nails and the coarse side to file toe nails, acrylics, hand corns and calluses. ..
Surgical Stainless Steel Fine grit foot file for sensitive feet. 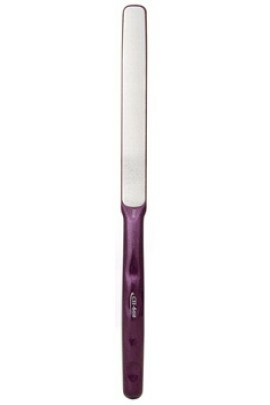 Use it after the Medium Foot File or Coarse Foot File for perfectly smooth feet. 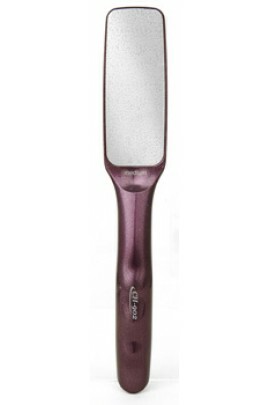 ..
Surgical Stainless Steel Medium grit foot file for the average callused feet. Suits all skin types and is an excellent choice for year-round pedicure maintenance. ..